Tianmen Mountain, has been called “one of the most beautiful mountains in the world”. The stunning views, vertical cliffs, the fascinating cliff-hanging walkway, the glass sky walk, and the longest cable car ride, make it unquestionably one of the best national parks to visit in China. Tianmen Mountain Cable Car is just above the Zhangjiajie train station. From Zhangjiajie train station, follow the cable above which is around less than 1km away from Exit. Entrance fee is 228CNY ($37) (Off-peak season rate). This admission fee includes entrance ticket, Cable car round trip, tourist bus and insurance. Photography and video taking with monopod/tripod is permitted. Tianmen Mountain elevation is 4,980 feet (the highest in Zhangjiajie); people be amazed that about 40 peaks inside the mountain area are over 3,200 feet. 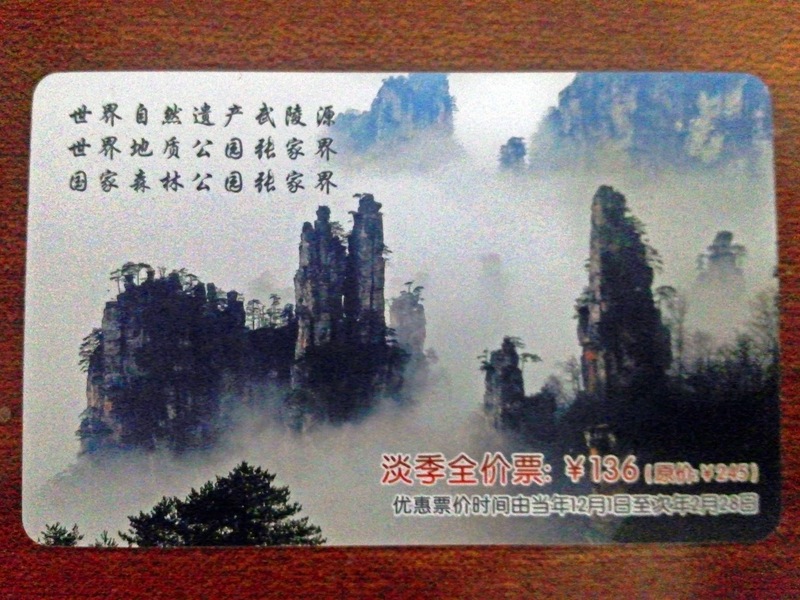 The mountain is famous for its unique natural miracle - the Tianmen Cave; it was authorized as a national forest park in July, 1992. The door-alike cave was created after the cliff collapsing in ancient time.